Being a foodie, one of my favorite things about fall is butternut squash. 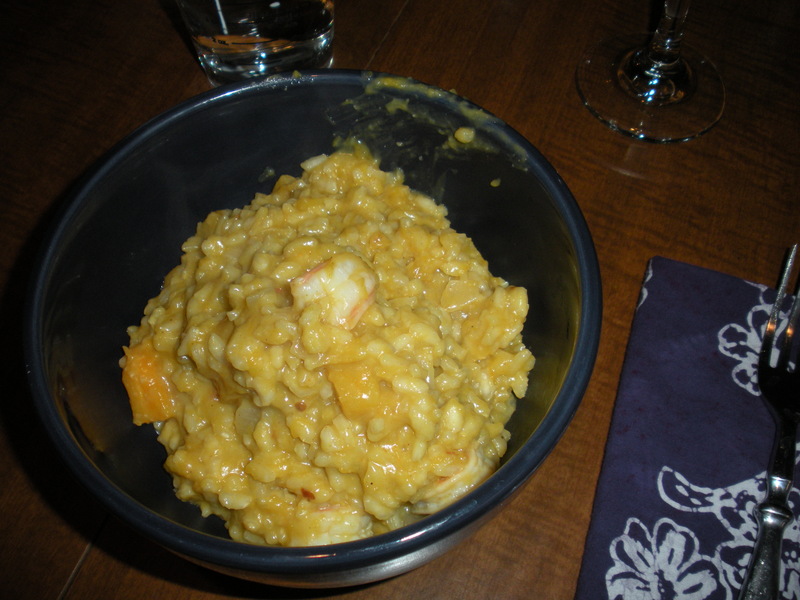 Last year around this time I made an excellent vegan recipe for Apple-Pumpkin Risotto with Carmelized Onions, taken from Isa Chandra Moskowitz’s ‘Nickel and Dined’ column in BUST magazine. While I enjoyed it, my husband asked, “where’s the meat?” I came up with this dish as a compromise, which combines some of my favorite fall flavors. 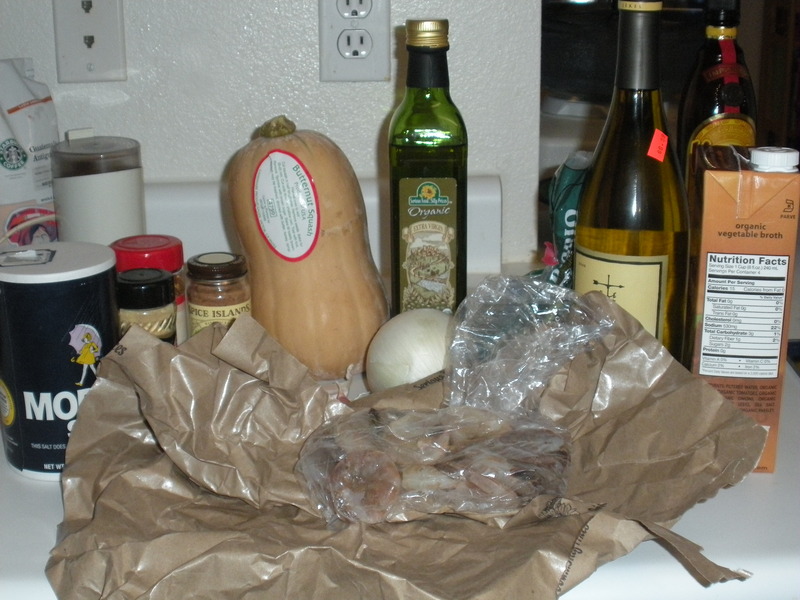 For ingredients, you’ll need 1/2 of a whole butternut squash (about 2 pounds), 1 pound uncooked shrimp, 2 tablespoons of olive oil, 1 small onion finely chopped(white or yellow), about half a head of garlic, 1 teaspoon red pepper flakes, 1 1/2 cups of Arborio rice, 1 bottle medium-grade dry white wine (don’t worry – not all of the wine will end up in the risotto! ), 5 cups of vegetable broth, 1/3 cup of parmesan cheese, 1/2 teaspoon salt, 1/2 teaspoon ground ginger, and 1/2 teaspoon ground nutmeg. 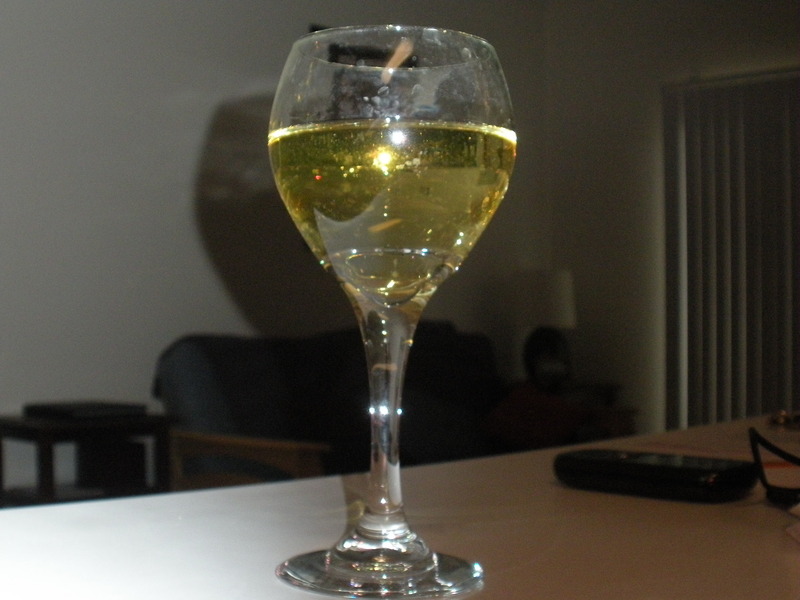 Before you begin cooking, pour yourself a glass of that wine. 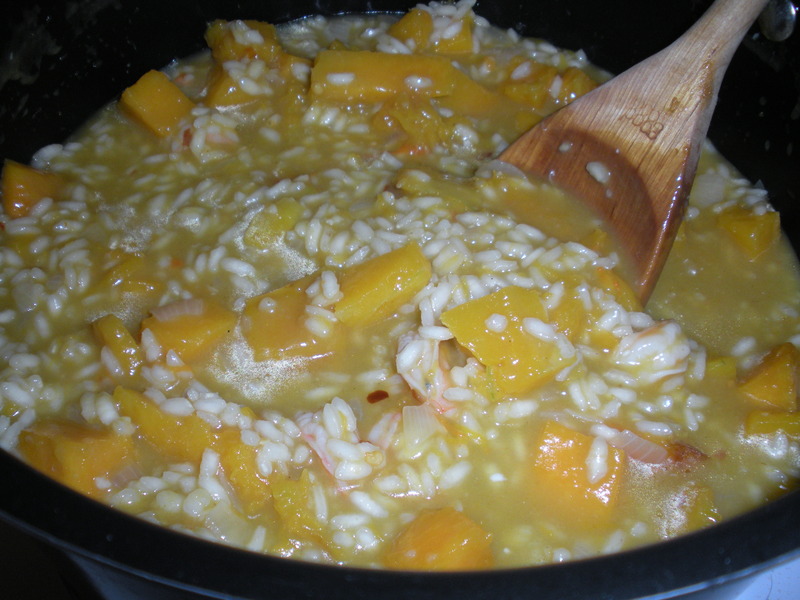 Risotto takes approximately 90 minutes to prepare, so relax and enjoy yourself a bit. Preheat the oven to 400 degrees Fahrenheit. 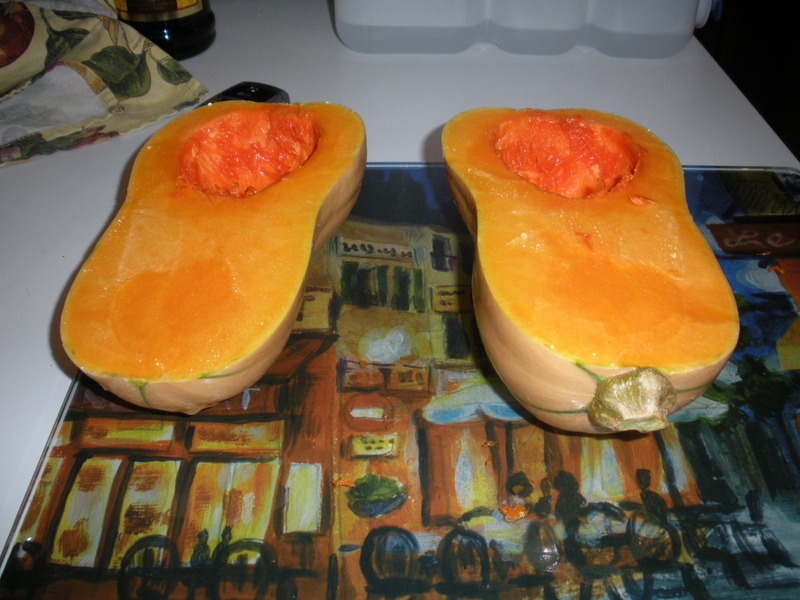 Cut the squash in half and remove the seeds and stringy part with a soup spoon. Lightly coat a cookie sheet with olive oil and place the squash face down. 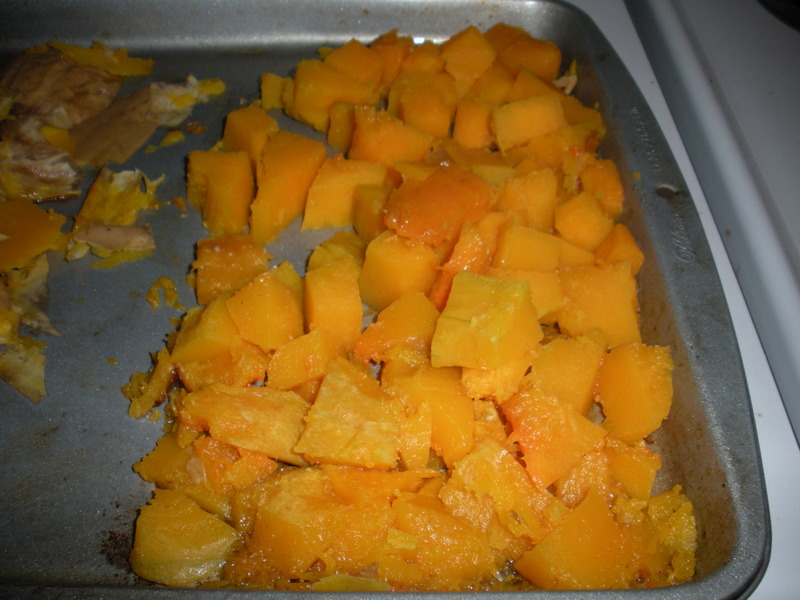 Bake for 35 minutes or until squash is soft when you pierce it with a fork. After it’s cooked, place aside and let cool. Then, peel the skin off the squash and cut into bite size pieces. 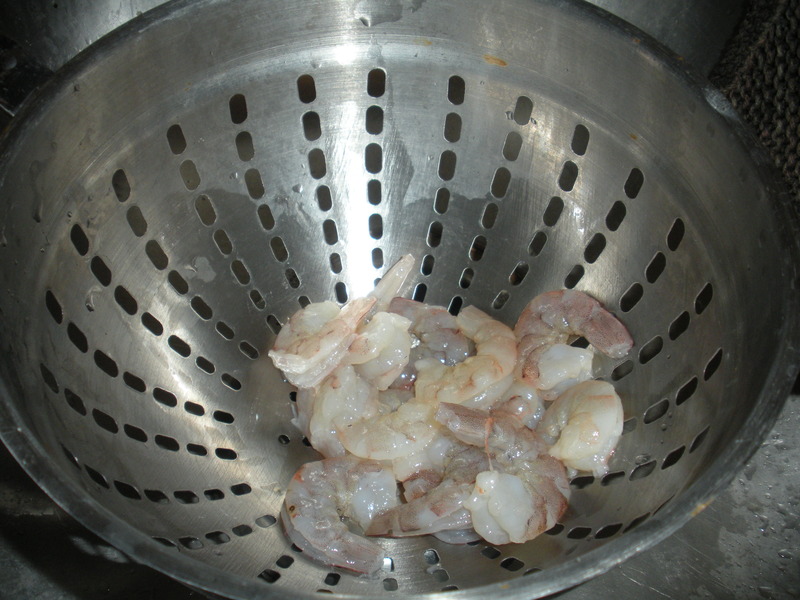 While the squash is in the oven, peel and rinse your shrimp. 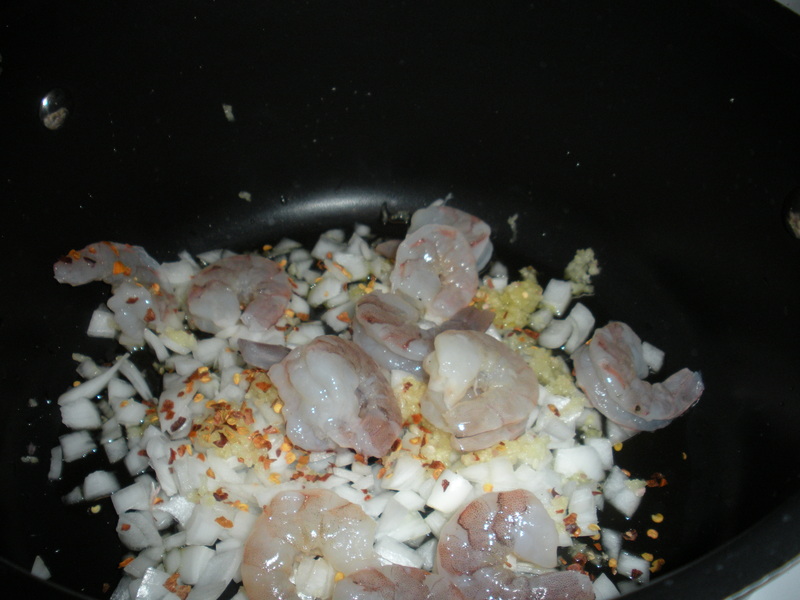 In a large saucepan, combine the olive oil, shrimp, garlic, onion and red pepper flakes. Sauté over medium heat for about 7 minutes, stirring frequently. Add the rice, wine and 1 cup of broth. Stir occassionally until all of the broth is absorbed. Continue adding 1 cup of broth at a time, stirring and waiting for the liquid to become absorbed, until you have added 4 cups of broth in total. This is the most time-consuming part. When all that liquid is absorbed, add the butternut squash and the final cup of broth. Continue stirring occasionally until all of the liquid is absorbed. Add the parmesan cheese, salt, nutmeg and ginger and let cook for another 10 minutes. 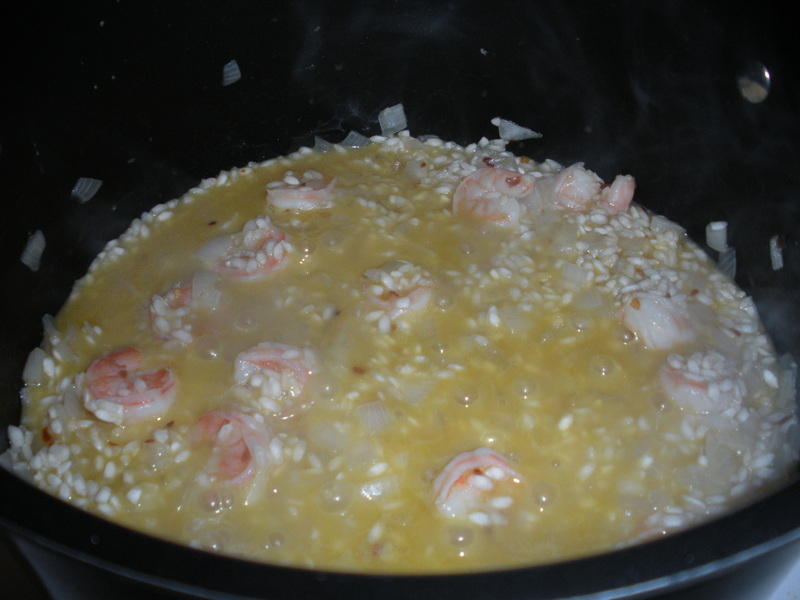 Turn off heat, wait another 10 minutes and then your risotto is ready for consumption. Enjoy with the rest of that bottle of wine. Recipe serves 4. 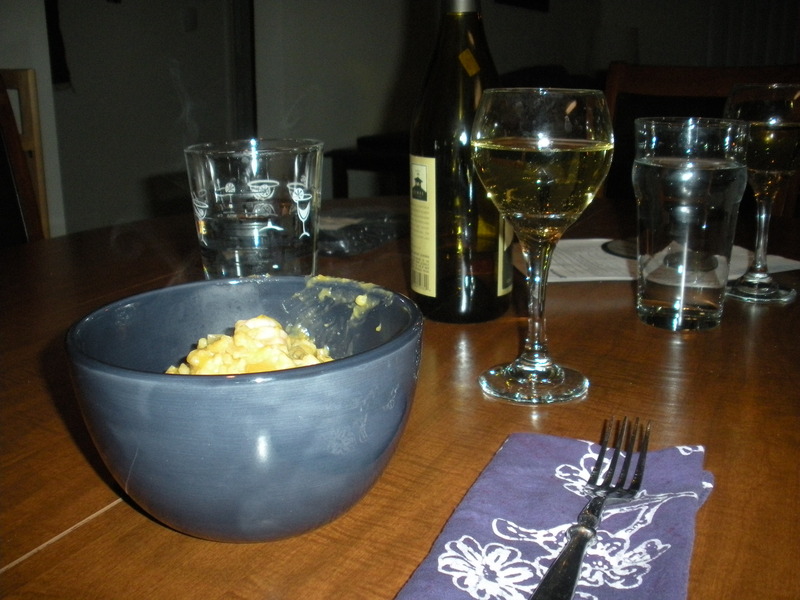 This entry was posted in DIY, Recipes, The Simple Living Experiment and tagged butternut squash, cooking, fall recipes, recipes, risotto, shrimp. Bookmark the permalink.